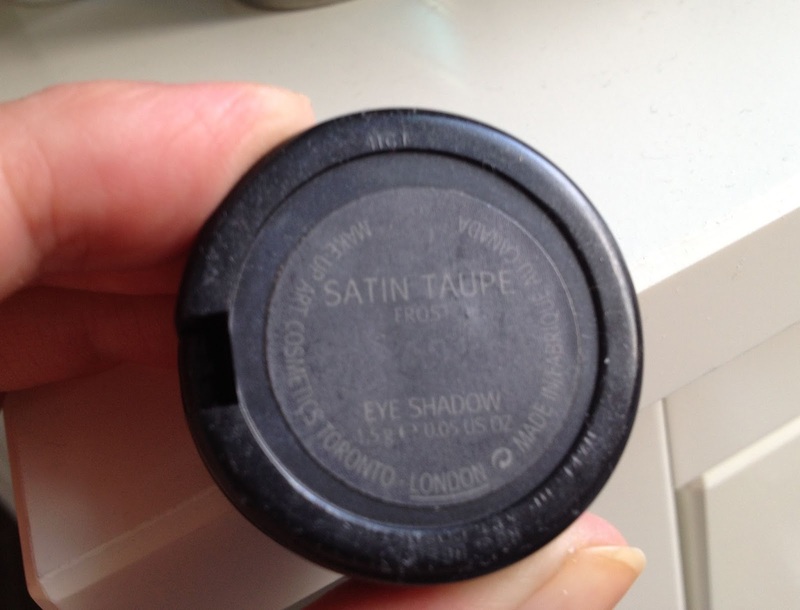 Satin Taupe was the first MAC eye shadow that I bought. It was a couple of years ago and I wandered into the White City Westfield MAC Store and asked them what I 'needed'. I had heard beauty bloggers mention Satin Taupe as a must have so it seemed a good place to start! As it was my first MAC eye shadow I bought it in the single pot because I didn't have my larger pro-palette at this time. Nowadays I always choose the pro palette format as I find them much more convenient for travel. I also find that just like Woodwinked (which I also bought as a single pot - see my swatches HERE) my single pots tend to get lost amongst my expanding make up collection and I just reach for my palettes instead. What a waste! (Obviously I really need to improve my make up storage!). At first glance, Satin Taupe doesn't look like much. But it is more than just a cool toned taupe. Satin Taupe is a Frost finish and this gives the eye shadow a slight iridescence and a silver shimmer. It also has a pinky colour to it in certain lights. Satin Taupe is cool toned, so it doesn't work on me as a whole lid colour. I have blue eyes and I find that it makes me look tired and emphasises darkness under my eyes. But it works really well as a crease colour for me. If I choose more of a golden toned shade such as Woodwinked (which I reviewed HERE) or Patina then I can pull off Satin Taupe as a great crease colour. 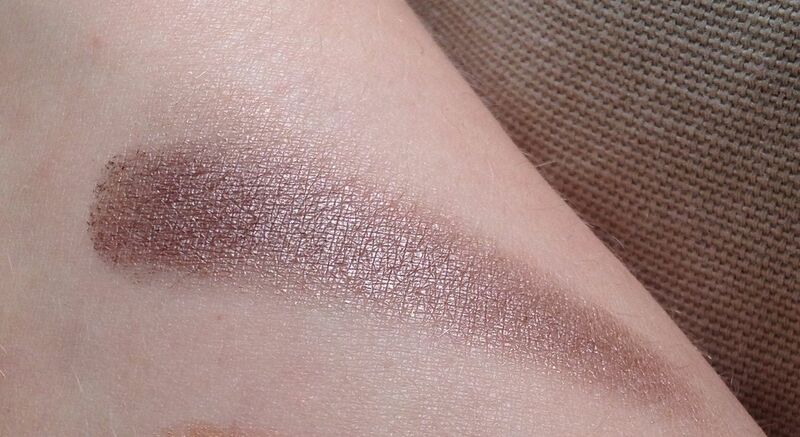 I think Satin Taupe is one of the most talked about MAC eye shadows and I must challenge myself to dig it out more regularly to really get the most out of it. 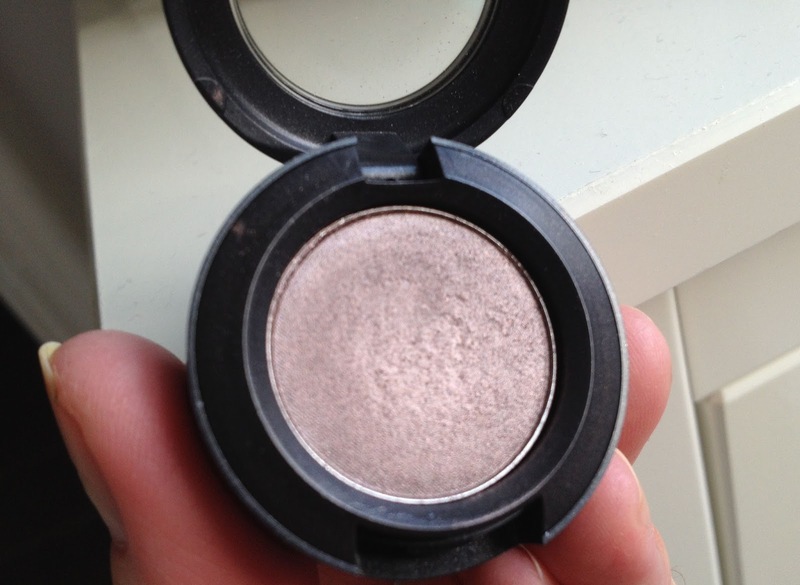 MAC Satin Taupe Eye Shadow is £12.50 for the single pot HERE or £10 for the pro palette version HERE. Have you tried MAC Satin Taupe? Which shades do you wear it with? Take a look at my previous MAC Monday posts HERE! You could also pop over to Swatch and Review to see what Julie is reviewing this week. I love Satin Taupe!!! Just posted mine up, linked over to you of course. MAC MONDAYS FOR LIFE!